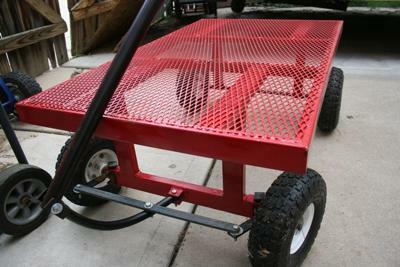 I rebuilt a trailer for my father-in-law and was able to salvage some of the steel for a garden cart/wagon. 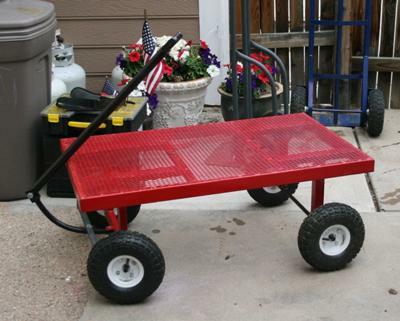 Comparable wagons at Ace Hardware or NorthernTool.com cost anywhere from $150-$300 depending on accessories. 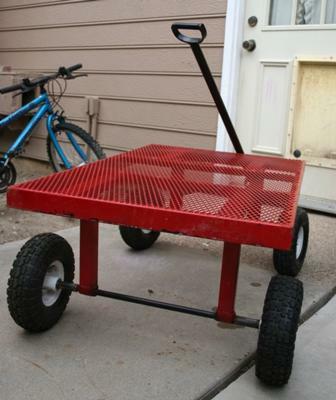 I had coupons to Harbor Freight for the wheels and bought spray paint and bolts at Home Depot. Total cost was less than $30. 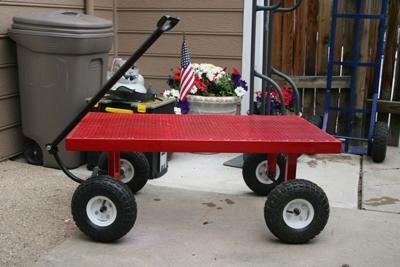 Of course I don't know how much welding wire/gas I used on the wagon, let alone electricity, but I'm thinking it wasn't more than $5 worth.